Chester White is the recently opened restaurant housed in what used to be Canvas. There's been some remodelling - the lounge area to the right of the entrance is now part of the restaurant, the outside area has lost its bar and the kitchen has been extended to house pizza ovens (not wood fired though). 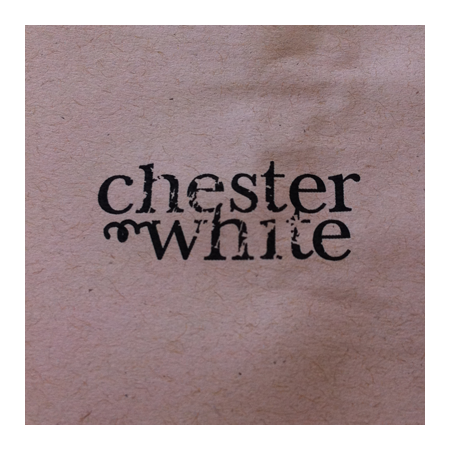 If you'd been reading all the copy from those reputable and independent publications like Broad Agenda and Daily Sheet, you'd realise that Chester White is named after the breed of pig and that this place is the equivalent of the second coming for porcine delights. Consider us a little amused when scanning the menu that the porktacular feast is limited to a charcuterie plate and chorizo on the starters and pork belly on the mains. Actually, there's more beef and certainly more pizza on the menu so maybe we can dial down the pork hype until there's actually more pork on the menu or perhaps something less predictable than pork belly. 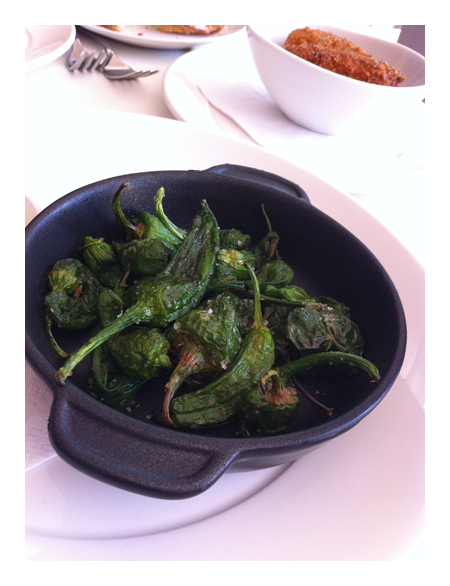 Poor Paalo, managed to nab both hot padrons - aioli was delish. Classic way to serve them - an excellent start. 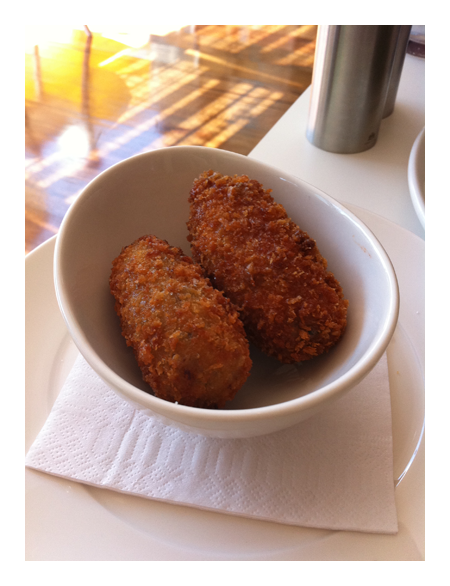 Lovely crisp coating on generous sized croquettas - love the combination of porcini and taleggio, could easily have eaten more. 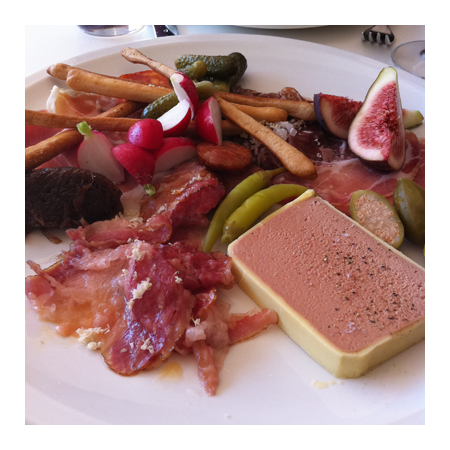 A variety of cured meats including house-made chorizo and a rather excellent liver parfait - creamy and light without that bitter aftertaste - onion jam, fresh figs, pickled chilies, radish, caperberries, cornichons and grissini. 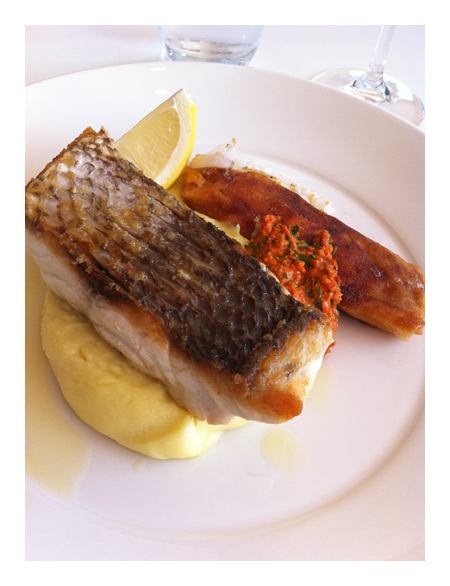 Snapper fillet on mash, harissa sauce and brick pastry spring roll. 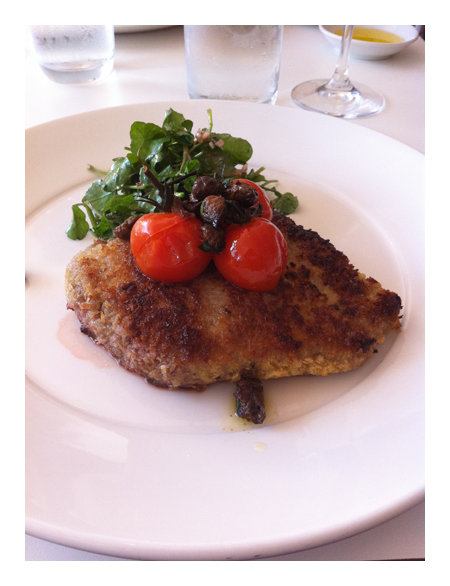 Quite a thick escalope of veal, still moist, perhaps a little too moist as the juices running out the meat made the crumbs on the underside soggy. Enjoyed the accompanying salad, the capers adding a welcome acidic tang to the dish. 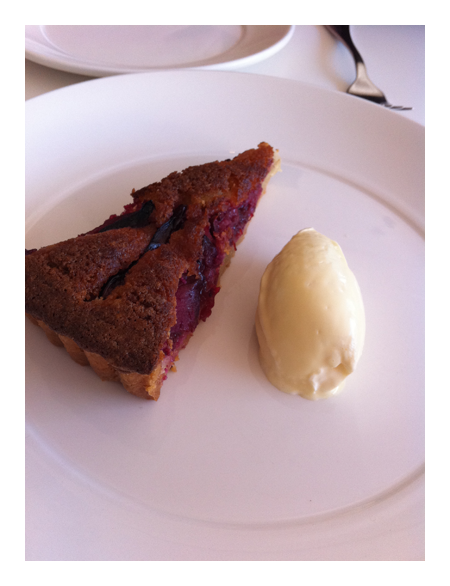 Lovely short pastry, soft plums topped with a frangipane - simple but delicious. For a restaurant that has only been opened less than a week, food wise we really have no complaints. 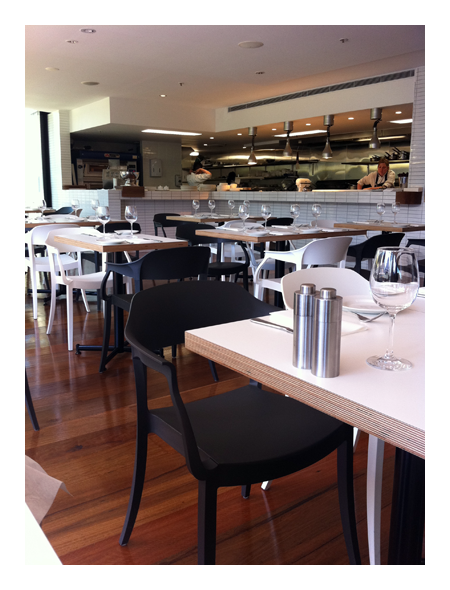 Everything was well cooked and service was fine - it will be interesting to see how it settles in.